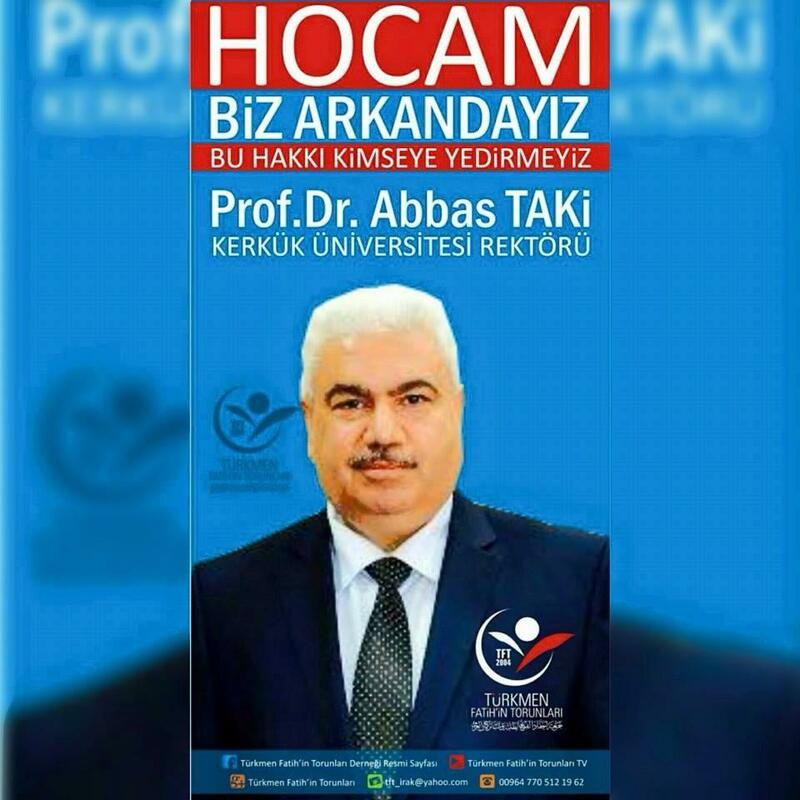 Photo above: Prof. Dr. Abbas TAQI, Rector of the University of Kirkuk (Turkmen). On 4 May 2015, at the University of Kirkuk, a number of armed students arbitrarily attacked the office of the University’s newly appointed President, Dr Abbas Taqi, a prominent academic of Turkmen origin. Dr Taqi was reportedly threatened by the armed men and forced to sign a letter of resignation. The local Government of Kirkuk has turned a blind eye to the incident and no intervention by local security forces has been reported. Instead, official sources claim that Dr Taqi’s resignation was voluntary. Dr Taqi had been appointed as the President of the University of Kirkuk only two weeks prior to the attack by the Iraqi Minister of Higher Education and Scientific Research, Dr Hussain Al-Shahristani. 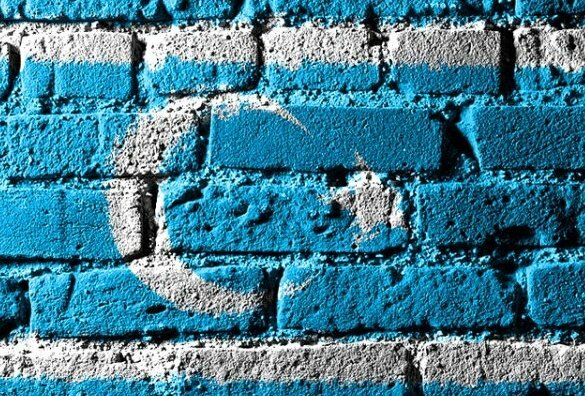 When announced in the Iraqi Parliament, his appointment caused reactions among MPs who did not consider favourable the idea of having an ethnic Turkmen oversee higher education in the disputed area of Kirkuk. However, convinced that this was not a wilful decision to step down, Minister Al-Shahristani has announced in a written statement that Dr Taqi will continue with his academic assignment as the Head of the University. While the advance of the so called ‘Islamic State’ in Iraq has had devastating consequences for the Iraqi Turkmen, with Turkmen towns and villages being occupied and the majority of the population displaced, the recent attack on Dr Taqi ought to be seen in light of the marginalisation and discrimination the Turkmen of Iraq have been enduring for years. The emergence of ISIS and its rapid growth has prompted large scale international action, including military and humanitarian support, but the plight of the Iraqi Turkmen has been left underreported. The failure on part of both Kurdish and Iraqi federal authorities to protect Kirkuk’s population has allowed for a dramatic demographic change in the already disputed area, which in turn has caused further tensions, as exemplified through the recent attack on Dr Taqi. While strongly condemning the attack on Dr Taqi, UNPO calls for an immediate and credible investigation into the incident, as well as into any allegations claiming it may not have been an autonomous initiative of a few violent students. By highlighting this, UNPO strives to draw much needed attention to the ongoing and rapidly increasing tensions in Iraq, and wishes to stress that whereas defeating ISIS represents a crucial short term priority, planning for what comes next is of utmost importance, as tensions between Iraq’s ethnic components, segregation, and discrimination remain serious problems, which – if unaddressed – risk escalating into further violence. Please find the statement attached.